Gulf Georgia is one of the leading oil companies on the Georgian market, and it provides high quality fuel and customer services. Gulf Georgia currently successfully operates 140 refueling stations throughout the nation, 43 of which are located in Tbilisi, the capital of Georgia. Gulf gas stations are distinguished with modern equipment and state-of-art innovative technologies. According to the ministry of internal affairs of Georgia, it requires that the gas stations deploy surveillance devices to detect the vehicle ID of each vehicle that enters the gas station. The quality of the vehicle ID image should be at least 10 Megapixels for easy identification. To meet this security standard set by the government, Gulf Georgia started to test various IP cameras capable of capturing videos with required resolution. After the qualified IP cameras were chosen, Gulf Georgia fell into the struggles of finding a suitable surveillance system that is powerful enough to manage a large amount of IP cameras set up at the gas stations of different locations, and meanwhile allows a wide range of compatibility with multiple IP camera brands and models. Through a well-rounded comparison, Gulf Georgia chose QNAP® Security surveillance solution to cope with the management of IP cameras and the security standard, with the deployment of totally 106 units of QNAP VioStor NVR VS-2004L along with 311 units of IP camera at Gulf gas stations nation-wide. The VS-2004L is an ideal surveillance solution incorporating both rich features and affordability for Gulf Georgia's massive system deployment. The quality performance on real-time monitoring and video recording from four IP cameras meet the needs of capturing clear vehicle ID images every day. In the event of extracting videos in particular time frames, the NVR administrator, usually the station manager, could easily get the clips by using smart search when playing back. Besides, people in the central office of Gulf Georgia could have a centralized control over up to 128 monitored IP cameras by connecting multiple VioStor NVRs and then monitor with one browser on remote computers. The scalability of VS-2004L and its offering of multi-server monitoring right suit the nature of distributed gas station environment as Gulf Georgia. The comprehensive compatibility with multiple IP camera brands and models was the key point Gulf Georgia chose QNAP VioStor NVR in the early stage. Gulf Georgia also felt happy with the simple user-interface when they first tested it. The web management interface of the VS-2004L is so intuitive and easy to understand that the station managers can quickly learn its operations. It not only helps prevent the possible frustration when station managers learn a new system, but also improves the working efficiency on system operation and management. "The quality and price of QNAP VioStor NVR VS-2004L is suitable for Gulf Georgia," said George Berdzenishvili, representative of L.T.D Integrity. 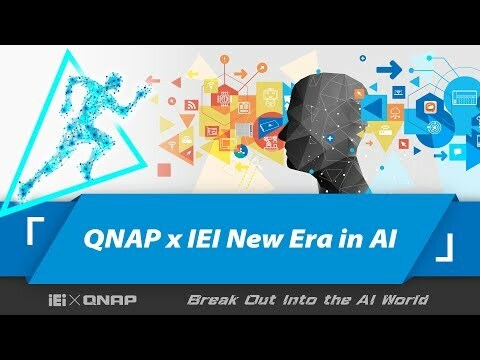 "For Gulf Georgia with distributed gas stations, QNAP Security products also make the implementation of surveillance system surprisingly easy." 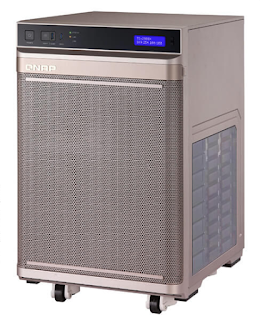 QNAP VioStor NVR VS-2004L has delivered quality surveillance solution to Gulf Georgia with its good capability of video streaming and playback from monitored IP cameras. While each station manager enjoys the hassle-free daily system operation, the members in central office of Gulf Georgia also appreciate the convenience of centralized surveillance control through VioStor NVR's multi-server monitoring. The prompt customer services from QNAP Security play an important role that has earned Gulf Georgia's confidence even more. AI 筆記 NVDIA AMD 以及 ? Intel ?